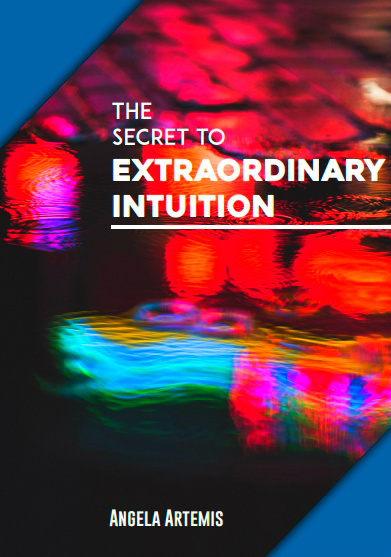 Intuition: Will We Ever Learn how It Works? Have you ever wondered if telepathy is real? Or, if precognition is truly possible? 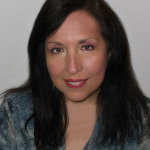 Scheltema had several vivid psychic experiences in her life that compelled her to seek out scientists studying these fields. She wanted to know whether science could verify the existence of psychic phenomena. To her amazement – they could. I’ve not seen this film but I plan to order a copy of the DVD. I’ll write a review after I see it. There are so many things that exist in our Universe that we cannot see – yet they’re very real. I’m only too happy to learn that science is now beginning to substantiate the experiences that so many of us have had. For a week, or so before September 11, 2001 when I heard the sound of a plane fly by, in my mind I also heard a huge explosion – as if the plane had crashed. I didn’t pay attention to it at first until it had happened several times. Then I started to wonder what was wrong with me, and when I’d become such a morbid person? I kept telling myself to stop it – but I couldn’t. It didn’t come from me – the crashing sound came without my prompting it, or thinking it. The last time I remember hearing this was the day before 9/11. By that time I was very upset over it because I had no idea why it was happening. It was only after that terrible Tuesday morning that I remembered these incidents and understood what the significance was. I was not alone in having some sort of premonition about the 9/11 either. Many many people reported having premonitions about that morning. Too bad our culture isn’t more open to this – maybe we could have stopped it? I know now that what I should have done was asked in meditation if the explosive end of the flights I was hearing was something real or metaphorical? Next time I’ll know better – I hope there will never be a next time though, of course. Just last week I was getting dressed when I kept having the strongest thought directing me to open my garage door run through my mind several times. I rationalized it away saying that I didn’t have to leave for at least a half hour, so why should I open the door? Ten minutes later there was a huge explosion sound. A transformer had blown down the block from my house – and then it it hit me: I have automatic garage doors that need electricity to open! Thank goodness I do have a manual override, but that evening I couldn’t undo the override and had to call a repair man to come to fix the door. Had I only listened – I would have saved myself some money! When a friend of mine visited me recently we thought she’d lost her passport. The morning I was to drive her back to the airport I was downstairs in the kitchen while she was upstairs putting things in her suitcase. All of a sudden a thought rushed into my head: She’s found her passport! A minute later she came downstairs waving her passport at me. Things like this happen to me often so I’m very curious to learn what makes intuition, psychic ability and it’s higher form, mediumship possible. I hope this documentary will shed some light on the science behind these phenomena. If you can get information from the Universe directly which is what we call intuition, and you can get information from another person which is what we call psychic, than why would it be so far-fetched to get information from the other side? I’ll be quite excited to see scientific proof on that. Have you ever had a premonition of the future? A precognitive dream? I’d love to hear your experiences. Please share with us. 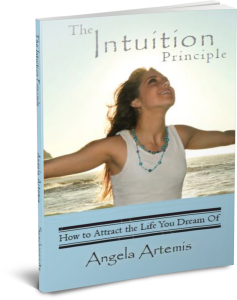 Intuition: You Don't Have to Scare The **** Out of Yourself! This is great. Clearly you are more in touch with your intuition than most people. It is a sign of peace and awareness. These things are no coincidence and I look forward to the DVD. I’ve always felt it was just a matter of time before science quantifies these phenomena. These things happen to me quite often too. The last time it happened I was parking my car on Marlborough St. in Boston (a very upscale section of Boston) and something felt ‘Off’ about my parking spot. So at the risk of not finding another spot I moved my car across the street. When I came out all the cars on that side of the street had a ticket. Turned out it was the first day of spring street cleaning and the sweepers were going down that side! Hi Rob, Welcome to my blog and thank you for visiting. 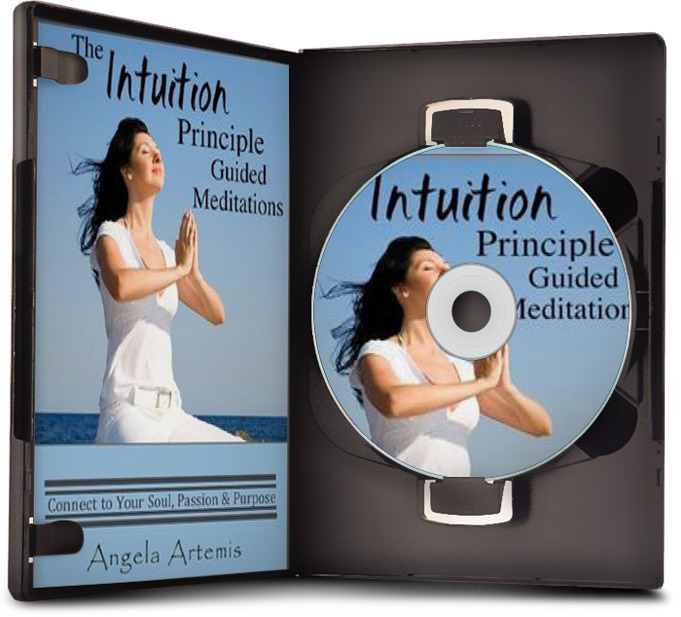 I thank you – I must admit even us “intuitive” types have our moments of confusion and lack of peace! I”ve just rec’d the DVD and plan to watch it over the weekend so I’ll be writing the review next week. Please stop back. I’m so glad you listened to your intuition about no parking on the other side of the street and avoided getting a ticket! You’re also tuned in to your intuition. That’s what I love to hear! If you can recall one incident chances are if you sat down and really thought about it you’d recall many other incidents of being guided by your intuition. Yes I did watch what the bleep do we know and LOVED it! It is a great film about the power of thought and how consciousness works. Come to think of it I’m going to watch it again after the bootcamp. Looking forward to your upcoming post. Hi Manal, I figured you’d have seen What the Bleep…and loved it. It’s so you! All about the nature of consciousness. That’s awesome that you own your own copy and can watch it again. I just caught a bit of it online the other day on someone’s website. It was so well done. I hope this film will be half as good. Thank you so much for your comments Manal. Always a true pleasure having you here. I have these feelings all the time over little things like phone calls. I usually say I have a gut feeling but of course that’s intuition. I’ll go click on the interview now! Hi Betsy, so nice to see you here again. You know the more you focus on your intuitive feelings the more often they’ll arise. Let me know how you like the interview after hearing it! Thank you for your comment. I probably had a few premonitions myself but like Aileen I am confused and can’t distinguish a fearful daydream from a premonition. Looking forward to your article about that. It is exciting to have filmmakers cover such interesting topics and back it up with science. Can’t wait to read your review of the DVD. Hi Manal, great having your comments as always! Many people find that fear based daydreams masquerade as premonitions. Fear is a very sneaky emotion. I’m working on that post now for this week. I do help it will help everyone understand the difference. I know, it is exciting to see films coming out that cover such fascinating topics. Did you see: What The *&%$%#* Do We Know? I absolutely loved that documentary. If you haven’t seen it you should Manal – it’s so up your alley being all about the nature of consciousness. Thank you again for your comments. Excellent, that sounds good. Have a great weekend! Hi Greg. I’d love to hear what you think of John R Price’s work after reading it. I highly recommend The Superbeings, or A New Spiritual Philosophy For the World. He also has written a great deal on Abundance and Prosperity – the names of those books escape at the moment. I’m looking forward to your review of the documentary! I’ve never had any precognitive dreams, or perhaps I have and just have not been open to them? Hi Jean, thank you! I have a feeling it’s a documentary very much in the style of: What the *@#$**@* Do We Know? Did you see that film? It was an excellent documentary about consciousness and how we create our reality – and backed up by science. I’m absolutely sure that you’ve have had premonitions at one time or another. The premonition is related to the fight or flight mechanism in our brain – it’s a way of steering us out of harms way and was probably at it’s height in the early human species. Okay, enough jargon, the key to becoming more aware of your premonitions is to set the “intention” first to become aware of them! Thanks for sharing some of your premonitions. Like Aileen, I have a few premonitions from time to time. But they usually involve sensing something right before it happens like when you knew your friend found her passport. Furthermore, I look forward to reading your future review of the DVD. Hi Greg, great seeing you here again! Glad you found my premonitions interesting, and that you have them too. The more aware you become of having premonitions the more you’ll have them. I can’t wait to get the DVD and watch it. I’ll let you know how I like it when it arrives. I had a similar experience right before the US Airways plane landed on the Hudson River. I was driving westbound over the TappanZee Bridge when i had an image of an airplane flying so low it would hit the bridge. But it didn’t. Instead it kept going south. It was very frightening and I didn’t kow where it came from. A day or two later the plane landed south of the bridge on the Hudson. Spooky. Rosemarie, Wow! It’s sounds like a you had a precognitive vision – for sure. I haven’t had any premonitions, or precognitive visions regarding airplanes since 9/11, but I don know that if I did after what happened it would worry me a great deal. I have a few premonitions here & there. I often get confused between a premonition and a fearfilled day dream. Before the loss of my father I had fearfilled day dreams…until later I realized they were premonitions. How does one learn to decipher between the two? My 6 year old niece has had them since she was able to communicate. It does freak my sister out a bit, but they are 90% right on – so now my sister listens and takes in what her daughter says. It’s not every day, but it is pretty regular. I’m curious to watch that documentary. Hi Aileen, you know you bring up a very good question. I think I’ll address it in another post – on how to tell the difference between a fearful daydream and a premonition. You niece sounds like she’s pretty psychic. I’d be interested to know what type of things she says to your sister. I ordered it yesterday (the DVD), so I’ll let you know if it was worth the $27!